Best Driving Strategies – Car crashes happen for all sorts of reasons. Usually it is a combination of unfortunate circumstances that lead to a collision. To lessen the chances that you will fall victim to an accident out on the streets, we suggest implementing the following strategies. Consistency is key to lessen the chances of being involved in a car crash, so developing better habits is a must. Space Between Cars. Leave plenty of car lengths between you and those ahead of you, especially when traveling on the freeways at higher rates of speed. There is a common rule known as the two second rule that can be applied at any speed to adjust the distance between you and the person in front of you. Stated simply, the ideal distance is maintained where it takes 2 or more seconds to pass a stationary object that was just passed by the vehicle in front of you. In some jurisdictions, it is known as the three second rule. Many auto accidents happen because a hazard is created in the road. Those who travel at a safe distance are often able to dodge the hazard, even where the driver in front of them could not. Look Both Ways Before Entering Intersections. Look both ways before proceeding into an intersection, even where you have the green light. Many crashes are caused when someone runs a red light. This means that watching both ways as you approach an intersection could alert you such an offender. While not always possible, making sure that the intersection is clear is a good habit to form to lessen the chances of impact and injury. Adjust Driving Behavior to Account for Weather. Be aware of weather conditions that affect your ability to control the vehicle. When rains hit Southern California, drivers should alter their behavior to account for potential oil slicks, hydro-planing and lowered visibility. This can be done by driving at a slower rate, taking turns more easily, and always proceeding with caution in areas of lowered visibility. Do Not Drive While Under the Influence. Never drive impaired by any substance, whether legal or not. A significant amount of collisions occur due to impairment, either by alcohol or some other substance such as illegal or prescription narcotics. To stop causing a collision and to protect against falling victim to someone’s negligence, maintain sobriety while operating. Always Use Turn Signals. Quite too often, people change lanes at high speeds in heavy traffic without alerting other drivers to their intention to do so before hand. Other drivers do not anticipate sudden lane changes and might decide to enter the lane that you intend to proceed into. Either the two vehicles will hit one another or a knee jerk reaction could create a chain of events that turns into a pile up on the freeway. Contact an Auto Accident Attorney Immediately! Accidents happen even where you have seemingly done everything right. 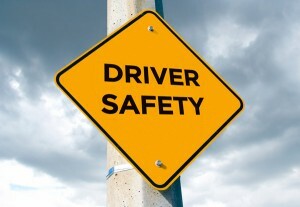 If you have fallen victim to another driver’s oversight or lack of concern for the safety of others, you have rights. The laws of California protects injury victims by allowing them to collect compensation for damages caused by a driver’s negligent acts. Compensation may be available to pay for medical bills, missed wages and pain and suffering. There are important steps to take to assert a successful claim for personal injury. It is therefore imperative to act quickly by seeking medical attention for injuries sustained, as well as consulting with a professional about your rights. 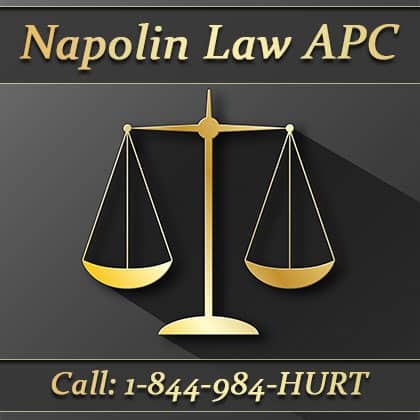 Here at Napolin Law Firm, we represent people who have been hurt in any type of automobile, including trucks, buses, vans, jeeps and motorcycles. If you are hurt and need help, a professional attorney can be reached when you dial 909.325.6032. 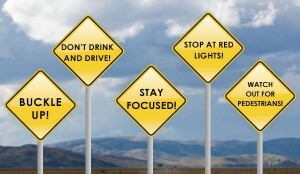 For further information about Best Driving Strategies and automobile safety, visit www.napolinlaw.com. Serving the nearby cities of Claremont, La Verne, San Dimas, Glendora, Upland, Rancho Cucamonga, Covina, Pomona and Chino California.